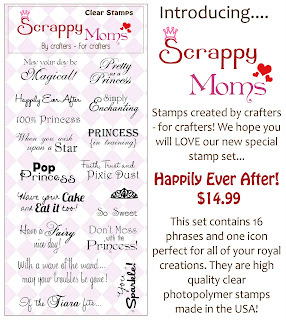 Liz's Paper Loft: Scrappy Moms Stamps New Release ~ Happily Ever After! 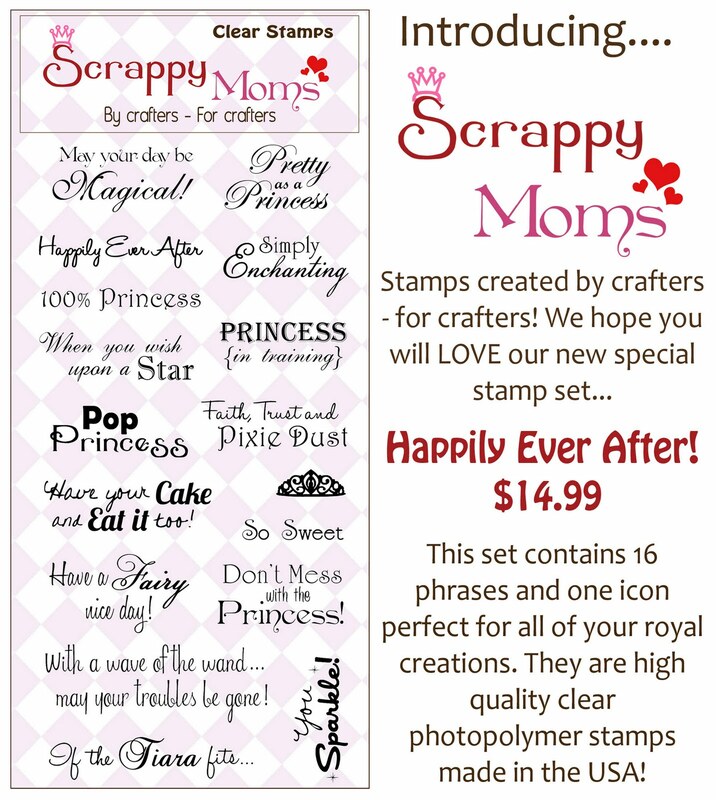 Scrappy Moms Stamps New Release ~ Happily Ever After! Well as you probably know, blogger was a big pain this past week! So because of it, I got a little out of sync with my posting...so here is the last of my Scrappy Moms Stamps sneak peek of the Happily Ever After stamp set. 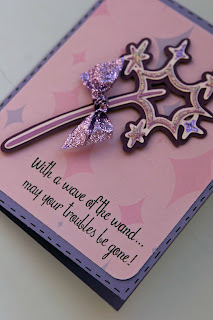 I sure wish I had this magic wand to make the big blogger headache go away yesterday! Check out the other girls on the DT! 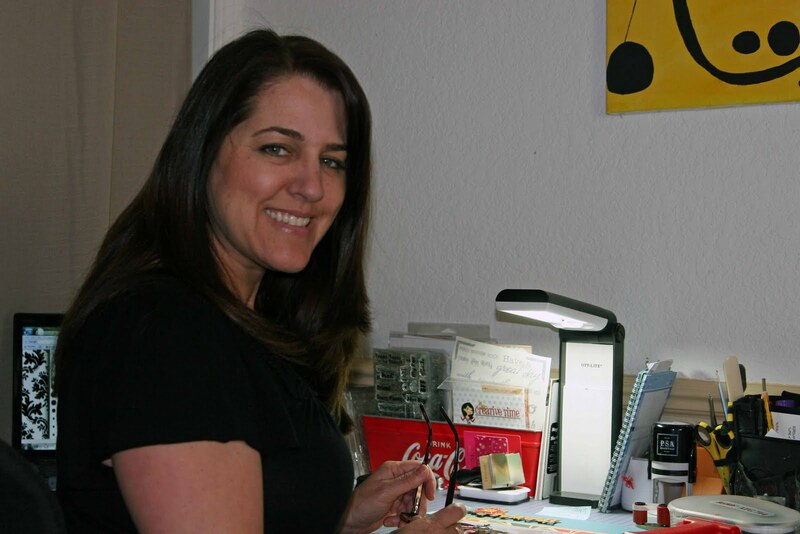 I also wanted to add a picture of me in my scraproom for a drawing that I entered for the Cricut Circle Blog! Yes, I changed my hair color in Decemeber...still not used to the dark, but DH says he likes it, so it's staying for awhile. so now consider yourself a true friend...I didn't do my hair and have on very little make up today! 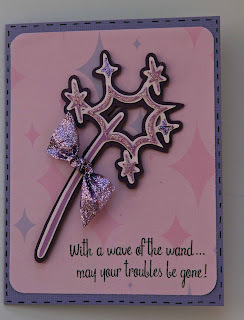 I love this card!!! Great stamp set, perfect for your card!! Nice card love the colors. 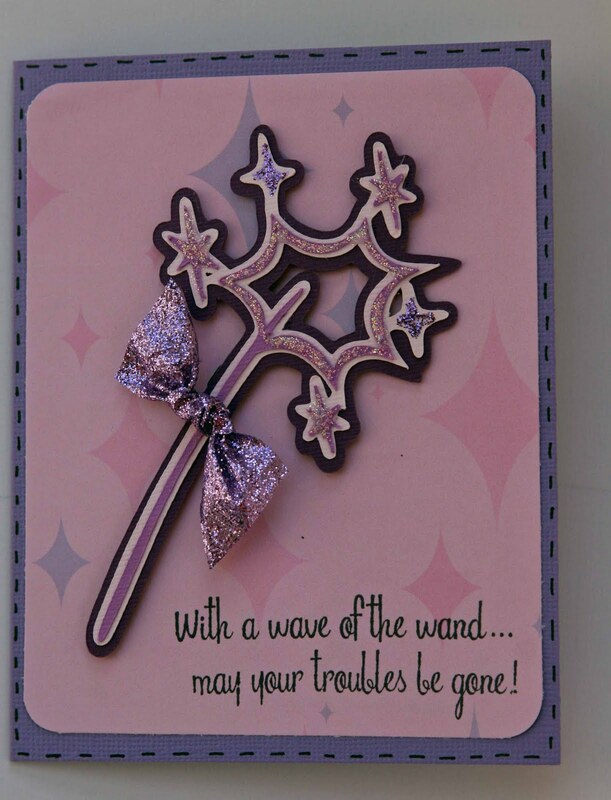 Love the wand! 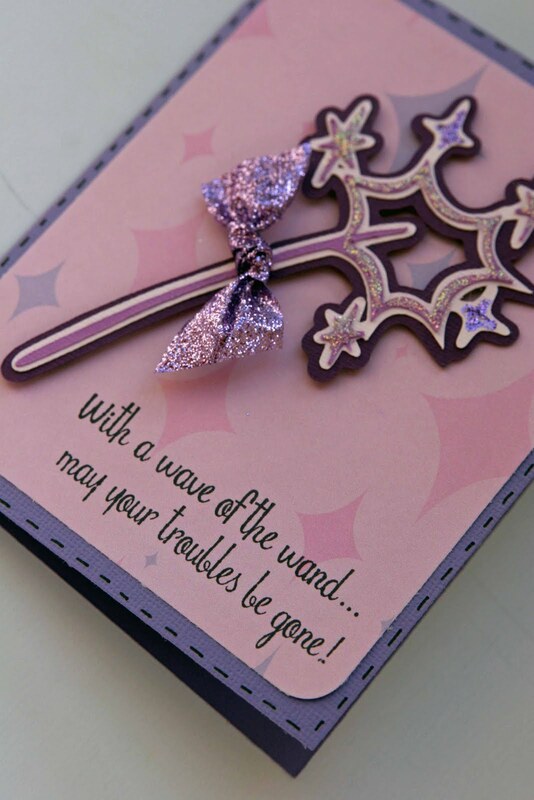 Wish I could wave it and make my troubles go away! Hi Liz! Thanks for stopping by my blog to leave a comment on my tissue box organizer. I wanted to pop in to let you know about the feet I used. They are from Tim Holtz. Think they are called Foundation feet or something like that. OOOHH BOy was I happy to see your creations using Scrappy Moms stamps. I just love those stamps. Now that I am here I see they have more that just came out. Guess I will just have to wander on over to their blog!! Love the magic wand and Liz you are hot stuff LOL! Love the dark hair!